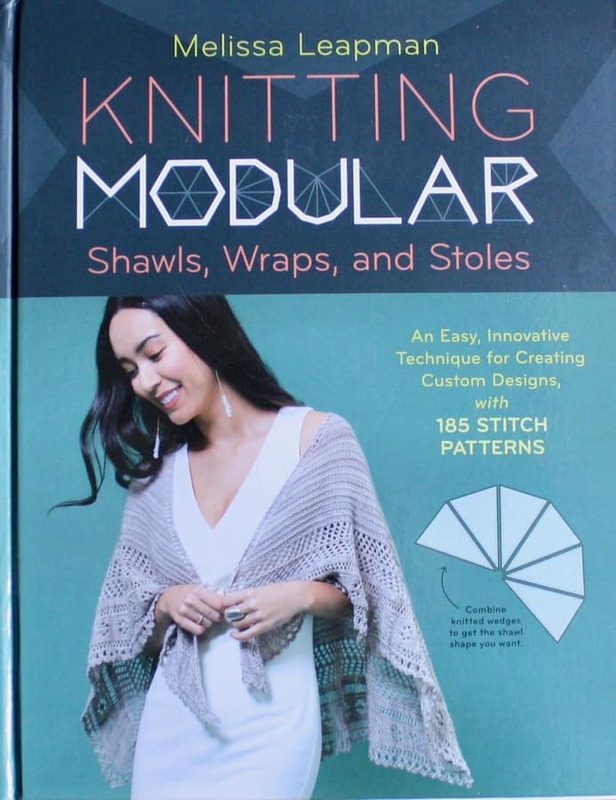 Like Melissa Leapman’s 6000+ Pullover Possibilities book her new book, Knitting Modular – Shawls, Wraps, and Stoles allows you to access to full patterns or endless ways of designing your own shawls. 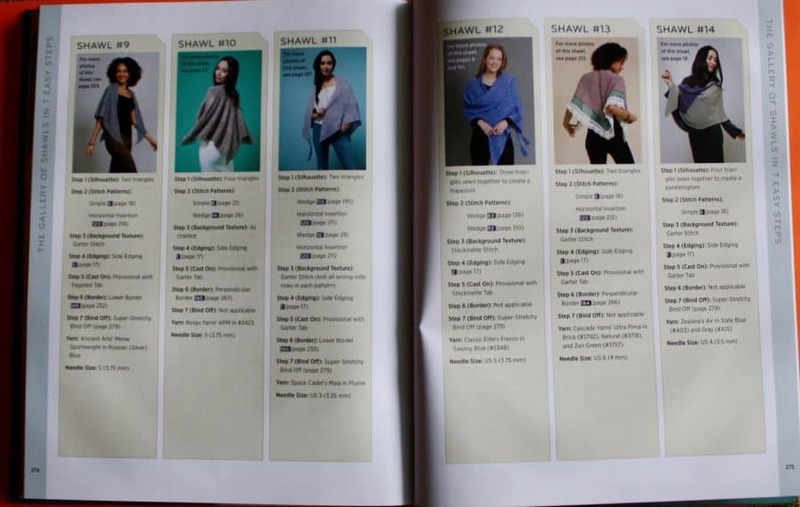 Leapman’s new book comes delivered with 20 different shawl/wrap/stole patterns. They are all nicely photographed. The graphic design of the book is also just what I look for in a knitting pattern book. 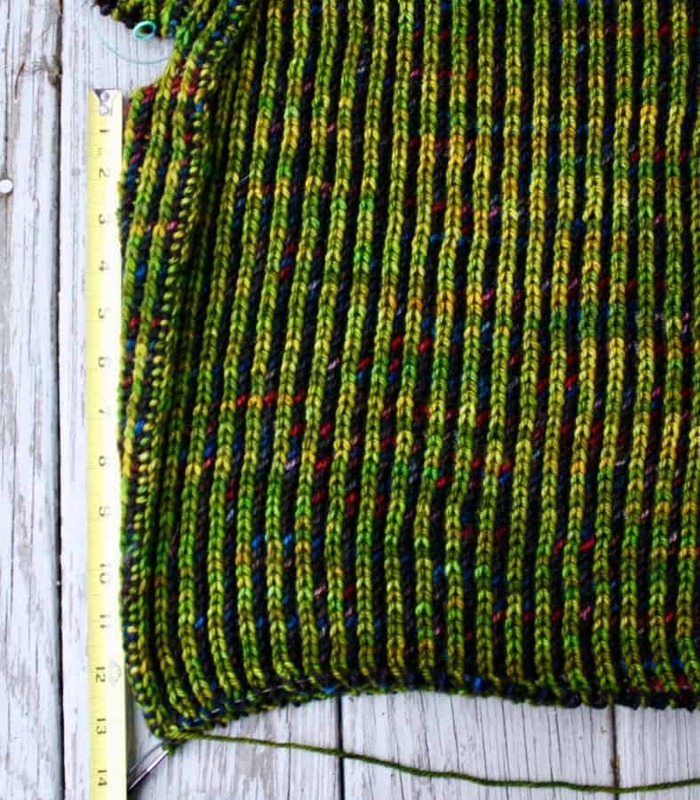 More importantly, Leapman details a brilliantly simple method of making more shawl designs than you could even calculate. Through her use of triangular and long rectangular modules, she creates millions of possible shapes and stitch patterns. I couldn’t possibly do justice to summarizing her method, without re-writing the book in its entirety. 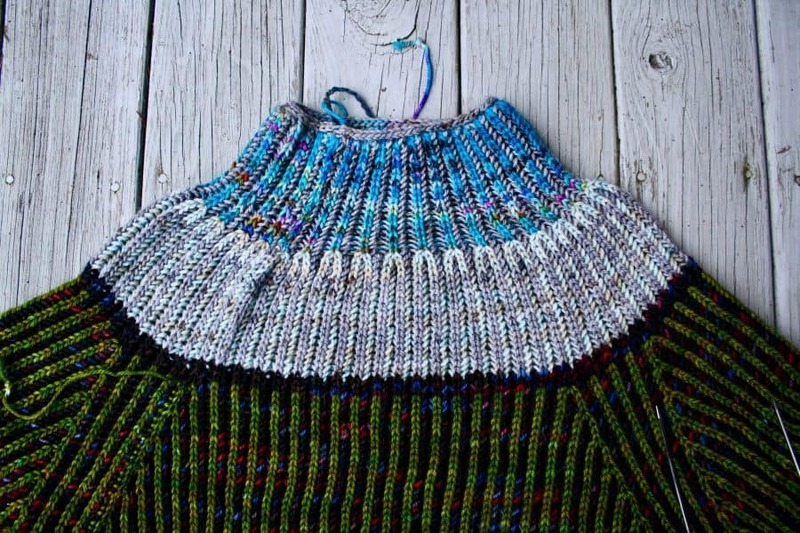 Suffice it to say, I will never have to purchase another shawl pattern or book. I can easily reference her materials to simply design my own. She also includes an entire stitch dictionary (indexed by number of stitches in the pattern stitch) including border stitches. All of the stitch patterns have row and graph instructions and clear photographs. Truly a masterwork for knitters, and at about US$20 on Amazon, this is one absolutely must-have book in my knitter’s library. Recovering nicely…after finally getting the 180 stitches back in order on the needles, I made very good progress on Briyoke. 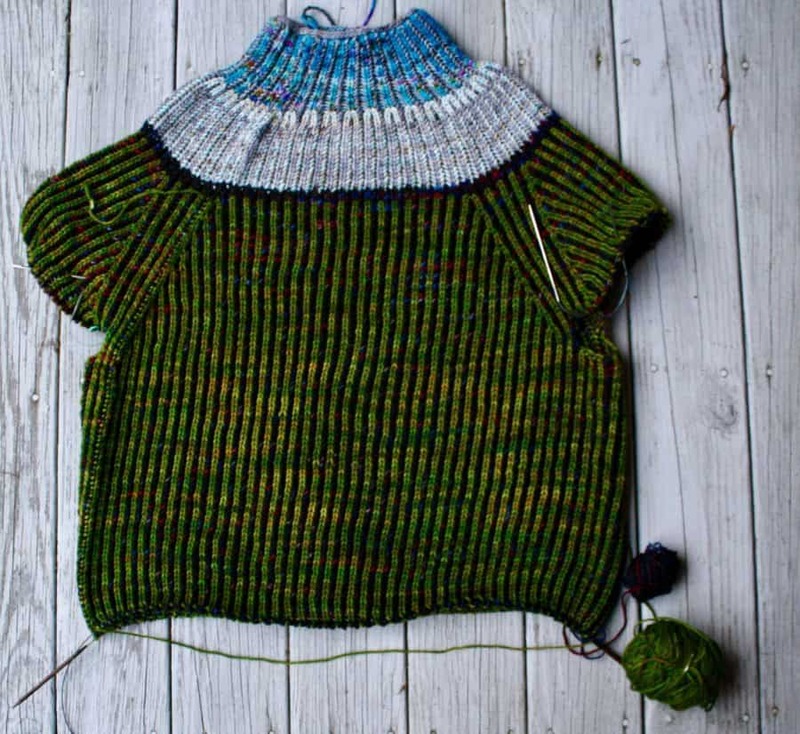 Just a couple of more rows on the body and then I’ll try this garment on and hopefully start on the sleeves. I’m honestly hopeful that the full sweater fits Thaddeus and is a bit big on me because I think he’d look fantastic in this sweater.